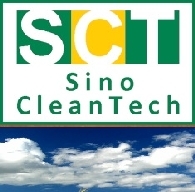 Sichuan Tianqi Lithium Industries, Inc.
Sichuan Tianqi Lithium Industries, Inc. (SHE:002466) is a China-based company principally engaged in the research, development, production and distribution of lithium products. The Company primarily provides industrial grade lithium carbonate, battery grade lithium carbonate and derived lithium products, among others. The Company's lithium products are mainly used in metallurgy, electronics, glass and ceramics, battery, rubber, medical treatment and other industries. The Company distributes its products in domestic and overseas markets. On March 13, 2014, Tianqi Group's stake in the Company decreased to 36.22% from 63.75%. On April 21, 2014, it acquired the entire share capital of Sichuan Tianqi Mining Co Ltd, a wholesaler of industrial chemicals and mining products and a wholly-owned unit of Tianqi Group.